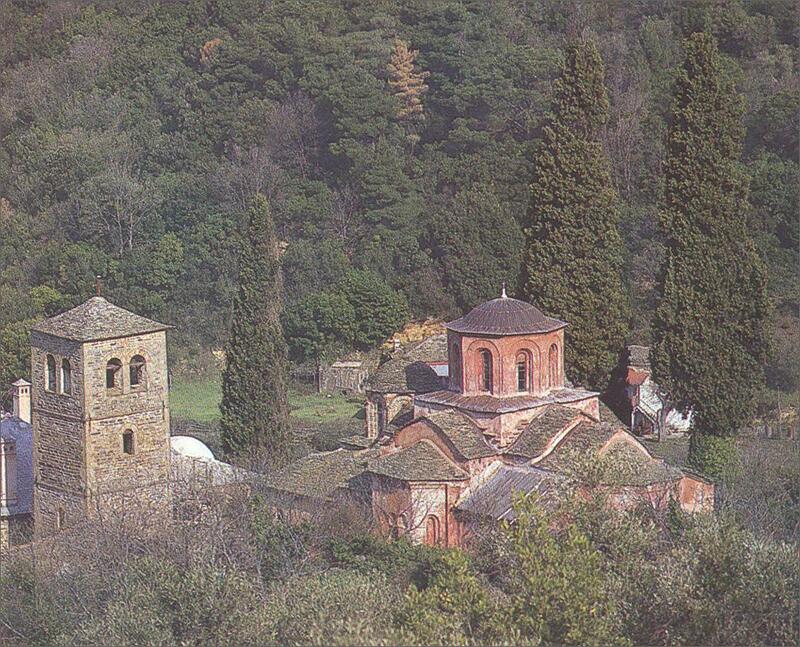 This year we will visit Mount Athos in September and one of my long-cherished wishes is a visit to this settlement, only a half-hour walk from Vatopediou. 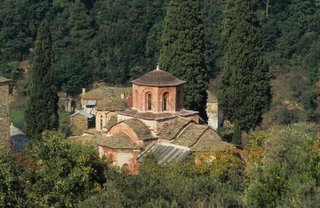 It is one of last places on Mount Athos that hardly has been visited and it is difficult to find any information on the internet. The katholicon dates back to 1755 and its library has 73 manuscripts. 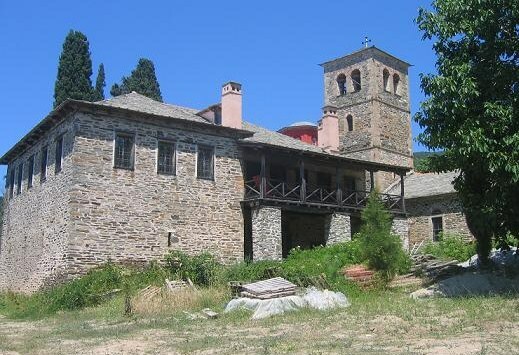 According to this website the skiti is restored in 2009 and the 15 cells should be inhabited again by 15 monks, although I also heard rumours that it is still inhabited. Do not confuse this skiti with Skiti Lakkou, because this skete is also called Agiou Dimitriou. I hope to visit these buildings and especially the inside of the church: probably it is best to contact Vatopediou monks to get advise. Or are there any readers who can help me ? 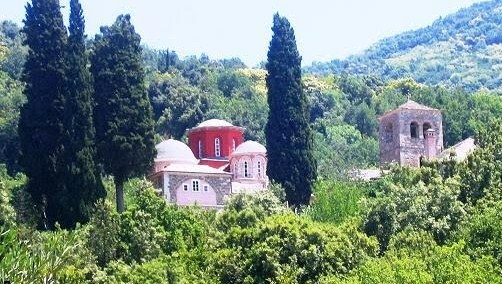 According to this site from Hotel Akrogiali the very well- known cell of St. Procopius is only ten minutes away from the skiti. 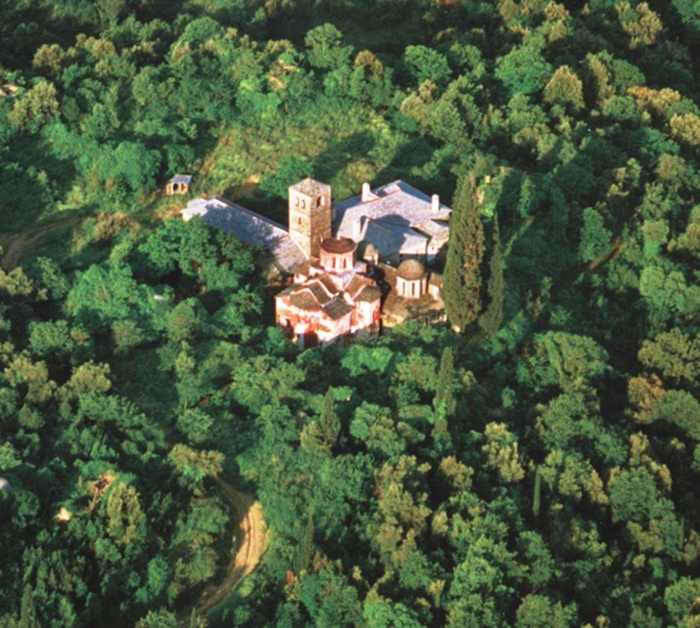 It was first built in the 11th century surrounded in green-forest, and its wall paintings belong to the Macedonian Movement. 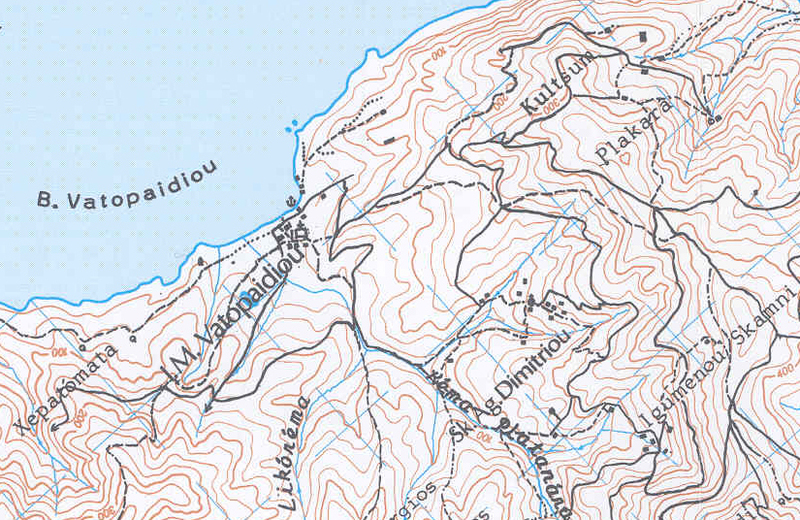 For a discription (in Greek) of the hike to the skiti over old paths take a look here (thanks Michalis). 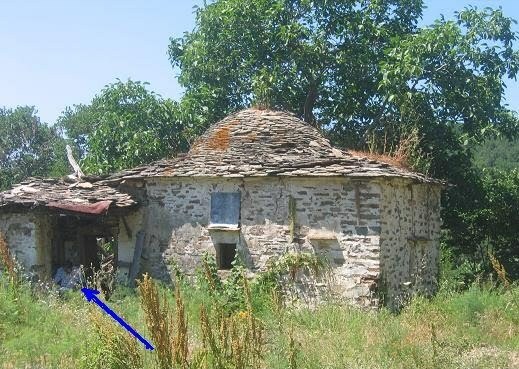 This entry was posted in Dimitriou, skiti. Bookmark the permalink.